At Advanced Auto & Smog, we understand the peace of mind that comes from your car being covered by its manufacturer warranty. Unfortunately, warranties don't last forever - and once they expire, it can be very expensive to get maintenance or repairs done at a dealership. Advanced Auto & Smog aims to secure your peace of mind in a different way: with our range of car care solutions for out of warranty vehicles in Visalia, CA. We provide warranty-approved services for all major brands of cars and we don't stop when the warranty does. Read on to find out about all the ways Advanced Auto & Smog will take care of your out of warranty vehicle and keep your peace of mind intact. Quality fluid and filters are extremely valuable allies in the fight against out of warranty repair bills. If you can keep fluids, filters, and the systems they service in good condition, you're far less likely to end up broken down at the side of the road with looming expenses in Visalia, CA. As part of our peace of mind package, Advanced Auto & Smog will provide you with free reminders via phone calls and text messages or emails letting you know when it's time for new fluids and filters. If you plan on keeping and driving your car for years and even decades to come, we provide a filter/fluid package that guarantees you the finest quality products. It's just another way that we take care of the little things so you can concentrate on enjoying the drive with perfect peace of mind. An ounce of prevention, as the old saying goes, is worth a pound of cure. 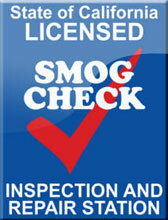 That's the approach Advanced Auto & Smog takes when maintaining your vehicle. Simply bring your car or truck in for a comprehensive inspection once your manufacturer warranty ends, and we'll create a profile of it based on its current condition, known issues with make/model, and the way that you use it. From there we'll recommend a regular care schedule based on mileage or time elapsed so that you're fully aware of everything that's going on with your ride. At each appointment we'll discuss any issues you may have had since your last visit and check all your vehicle's major systems for faults. Problems are often simpler (and cheaper!) to remedy if they are caught early. Should a problem arise between appointments, we'll get your car back to perfect health with the same manufacturer-approved parts we use for the duration of your warranty. If you are in the Visalia, CA area, give Advanced Auto & Smog a call at 559-734-5684 to learn more about our dependable, affordable maintenance and repair options if your vehicle is losing warranty coverage!